During the Open International Workshop "Socio-Environmental Dynamics over the Last 15,000 Years: The Creation of Landscapes VI" the members of the scientific advisory board were guests at the CRC 1266 "Scales of Transformation". The committee, composed of high-ranking international and interdisciplinary scientists, supports the CRC 1266 in its internal, scientific quality control by contributing an external perspective. The members of the advisory board got a detailed overview of the status of the work in the CRC 1266 and gained deep insights into its activities. They were impressed by the scientific progress of the CRC 1266 and proposed adjustments in a consultative meeting. These indications from an external perspective are of great value for the CRC 1266. Photo: The members of the scientific advisory board with the members of the executive board of the CRC 1266 after the consultative meeting. At this year's sixth International Open Workshop "Socio-Environmental Dynamics Over the Last 15,000 Years: The Creation of Landscapes VI", the members of the CRC 1266 took the opportunity to exchange their current results on complex transformation scenarios and phenomena with colleagues from a wide range of disciplines from all over the world. In the main program of the workshop, 27 lectures by CRC members presented research of the individual subprojects. They explored the multifaceted aspects of transformations of prehistoric and archaic societies and demonstrated the complex interaction of cultural, social, and ecological processes that characterized and accompanied past transformations. In addition, 14 sessions were organised by CRC members, 11 of which explicitly or implicitly brought transformations to the centre of the exchange. The centerpiece of the workshop for the CRC-members was the highly attended session 19 "Scales of Transformations in Prehistoric and Archaic Societies", which was dedicated directly to the research of the CRC's subprojects. In addition to the other conference contributions, 15 lectures and 18 posters were presented by the subprojects about their research. The contributions methodically ranged from aDNA analyses and pedological investigations to settlement reconstructions and landscape receptions as well as chronologically from the Northern European Late Palaeolithic to Mediterranean Hellenism. 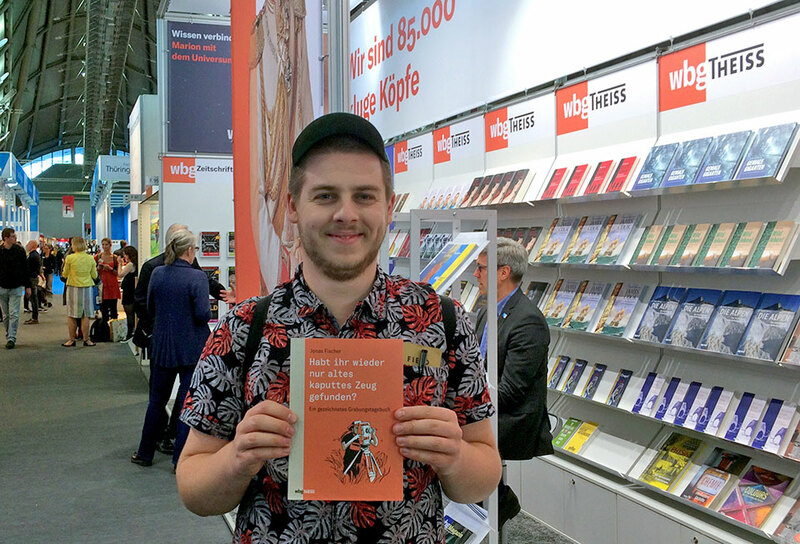 Daniel Groß, for example, presented research results of the subproject B2, which prove that during the early Mesolithic in northern Germany (ca. 9600-7200 BCE) there was a change of food procurement strategies from aquatic to terrestrial prey. The results suggest that this economic-technological shift was accompanied by new communication network strategies, thus indicating a far reaching transformation process. Another example are the results of subproject D1 presented by Robert Hofmann: The development of two structurally different types of mega-structures showed that a socio-political transformation took place in the Chalcolithic Tripolye megasites of the North Pontic forest steppe between 4000 and 3700 BCE, which led to a stronger centralization of decision-making processes. Only a short time later (around 3600 BCE) the Tripolye communities were disintegrated, probably due to a lack of acceptance of this increasing centralization. On the one hand, the broad spectrum of all lectures covered the entire range of the CRC's research activities; on the other hand, it has become clear that it is precisely the intensive interdisciplinary cooperation within the CRC and its international networking that generates scientific synergy effects that lead to a significantly better understanding of the overall phenomenon of transformations. High-ranking national and international scientists from various disciplines, who form the external scientific advisory board of the CRC 1266, were also present during the workshop and in particular during Session 19. They examined the scientific progress and the interdisciplinary cooperation of the CRC and provided helpful and target-oriented information from their external perspective in order to fine-tune the high scientific quality of the CRC 1266. Top photo: Session 19 during intensive scientific exchange. Nils Müller-Scheeßel (standing, left, subproject C2) in the discussion of his dating method for houses of the Linear Pottery culture. Jutta Kneisel (standing, right, subproject D3) chairs the discussion. 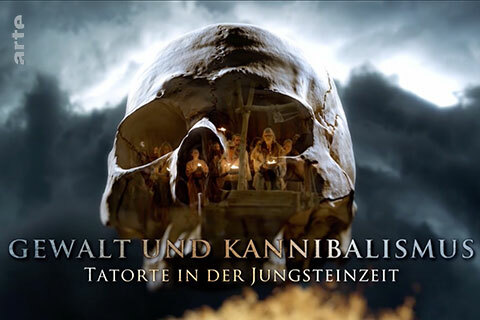 In the documentary "Violence and Cannibalism - Crime scenes in the Neolithic" by the Caligari Film- und Fernsehproduktions GmbH Munich, the hard everyday life of our ancestors from the Neolithic period is impressively brought to life with elaborate re-enactment scenes. A special and challenging part of the everyday life of the early farmers was the cultivation of crops. Thus the experimental cereal and linseed cultivation in the AÖZA, conducted by archaeobotanists of the CRC 1266 (Marta Dal Corso, Dragana Filipovic, Sofia Filatova and Wiebke Kirleis), was impressively staged to illustrate the intimate relationship of the early farmers with their crops. Fundamental social changes can be observed in the North German Plain and in southern Scandinavia at the beginning of the third millennium BC. New phenomena such as the Store-Valby style, the globular amphorae and single grave communities emerge in this area at the end of the funnel beaker societies around 3000 BC. 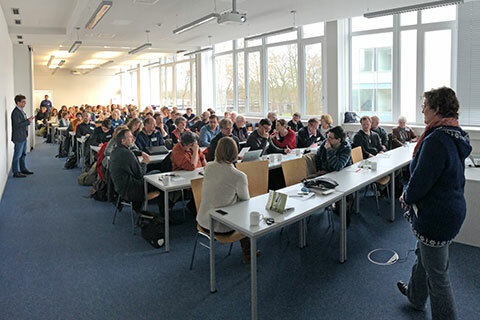 The associated social and economic transformations were in the focus of the International MN-V workshop which took place from the 27th to the 28th of February 2019 at Kiel University. 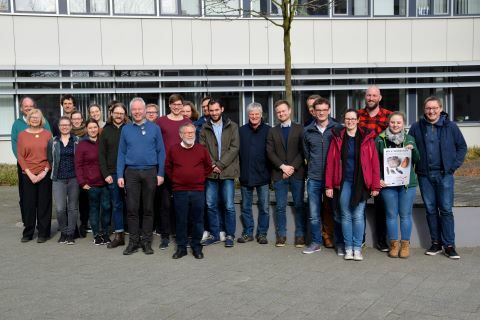 The workshop was organized by the CRC Mercator Fellow Niels Nørkjær Johannsen, University of Århus, and by Jan Piet Brozio and Johannes Müller from the project C1 Late Mesolithic and Neolithic Transformations on the Northern and Central European Plain. An important result of the workshop is that the Store-Valby phenomenon is no longer to be associated with the last phase of the funnel beaker group, but represents a specific style of expression of socio-cultural transformations at the beginning of the third millennium BC. The Adam Miekiewic University Honorary Medal Poznań (UAM) is awarded for outstanding achievements in international scientific cooperation. For 20 years the research career of Professor Johannes Müller, speaker of the Cluster of Excellence "ROOTS - Connectivity of Society, Environment and Culture in Past Worlds" and the SFB 1266 "Transformation Dimensions" at the Christian-Albrechts-Universität zu Kiel (CAU), has been closely linked with the Polish University. On 22 February, the medal was presented to him in Poznań. The UAM Vice-Rector Professor Beata Mikolajczak described the cooperation in the field of archaeology as a foundation of the partnership between CAU and UAM. 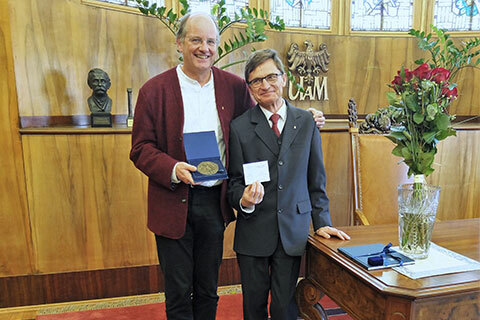 The merits of Professor Johannes Müller are recognized by the award of the UAM Medal of Honor. In this 20-year collaboration between the universities, the scientific but also personal solidarity would be expressed, said Professor Janusz Czebreszuk in his laudation. The award honoured the achievements of archaeological and palaeoecological field research carried out since 1999 by Polish-German teams from UAM and CAU. Excavations of Bronze Age sites in Wielkopolska were of central interest, especially the fortified settlement of Bruszczewo and the rich burial mound of Łęki Małe (2200-1600 BC). Together, the sites are interpreted as an Early Bronze Age power centre in this region. Over several years, international excavation teams of up to 50 participants have excavated these nowadays famous archaeological sites. The numerous scientific publications resulting from this Polish-German cooperation initiated the publication of the series "Studies on Archaeology in Eastern Central Europe", edited by Professor Janusz Czebreszuk from Poznań, Professor Sławomir Kadrow from Krakow and Professor Johannes Müller. Photo: Long-standing colleagues: Professor Janusz Czebreszuk and Professor Johannes Müller look back on over 20 years of Polish-German research cooperation (B. Fritsch). 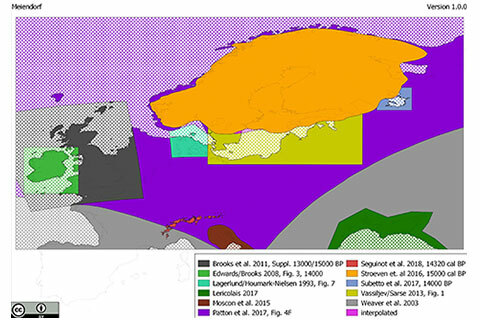 The EPHA Project, launched at the ZBSA by B members Sonja Grimm and Daniel Groß, provides base maps licensed under Creative Commons showing land-water distributions for different prehistoric timeframes. The maps are compiled from literature and research data and and can easily be integrated into Geo Information Systems as they are vectorised and georeferenced. The projekt is still going on and help is requested especially for Neolithic times. If you are interested please get in touch with Sonja Grimm or Daniel Groß. 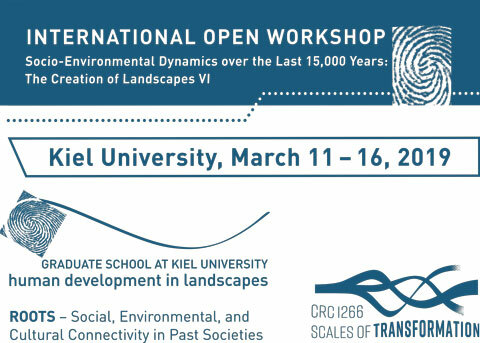 The detailed scientific programme for the International Open Workshop: ‘Socio-Environmental Dynamics Over the Last 15,000 Years: The Creation of Landscapes’ jointly by the Graduate School ‘Human Development in Landscapes’ and the CRC 1266 is now online! Also, the GSHDL and CRC 1266 award three prizes for the workshop‘s best posters! From 27-28 February, CRC projects C1 and F5 will organise a workhop on the Middle Neolithic V.
In northern Germany and southern Scandinavia, the beginning of the 3rd millennium B.C. is characterised by sociocultural changes within the Neolithic groups. Significant changes took place in forms of social organisation and in the ritual spheres of burials and their function as means of representation. But also changes in the field of economy and material culture are visible. In this phase a cultural phenomenon appears in the western Baltic Sea region, which according to a Danish site is called Store-Valby and is systematically assigned to the last phase of the Northern Funnel Beaker groups. Characteristic for these groups is a material culture that on the one hand refers to older developments but in other repects clearly distinguishes itself from these. In the workshop, experts from Southern Scandinavia and Northern Germany, will discuss questions such as possible triggers for the phenomenon, the relationship to the northern group of Funnel Beakers, and other contemporary cultural phenomena such as Single Grave culture or Pitted Ware culture groups, as well as questions on economy, subsistence, burial practices, and material culture. It will be organised by CRC Mercator fellow Niels Nørkjær Johannsen, University Aarhus University, Jan Piet Brozio, and Johannes Müller. Why were megalithic tombs erected? Lecture by Jan Piet Brozio from subproject C1 at the Foundation Stiftung Oldenburger Wall e.V. in Oldenburg i.H. 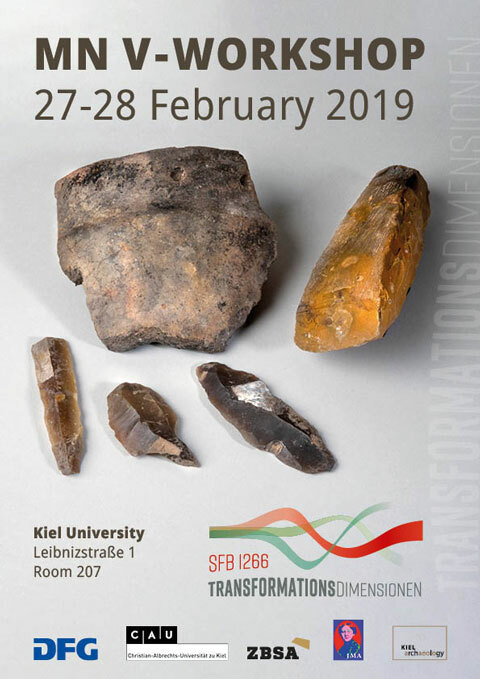 The foundation Stiftung Oldenburger Wall e.V consisting of more than 600 members invited Jan Piet Brozio from subproject C1 "Late Mesolithic and Neolithic Transformations in the North Central European Plain" to give a lecture in Oldenburg on 24.01.2019. The lecture "Why were megalithic tombs erected? 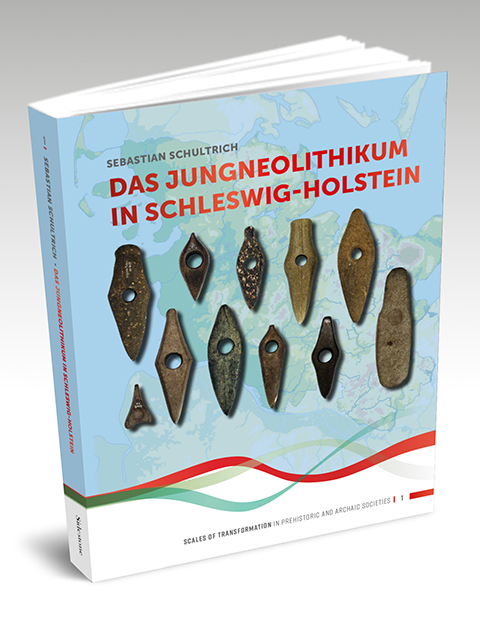 The development of monumental funeral architecture in the Neolithic Age of Northern Germany" presented new research results to a large audience, among them the mayor of Oldenburg i.H. Martin Voigt and the president of the district Ostholstein Harald Werner. In his talk, Jan Piet Brozio introduced different sites in the Ostholstein region which is an important research area within the project. From 2016 to 2018 two excavation campaigns were carried out at sites with waterlogged deposits (read more about the excavation in 2016 here).The excavations provide new insights into the transformation phase from the 4th to the 3rd millennium B.C. and the relationship between different Neolithic cultural phenomena. Photo: Jan Piet Brozio with the director of the Oldenburg Wallmuseum, Stephan Meinhardt, and Irmtrud Schubert (Torsten Ewers, Stiftung Oldenburger Wall e.V.). Today, our food comes from all over the world. But was it always like this? What did the Stone Age people eat and where do our crop plants and our domestic animals come from? At the Kids‘ University, CRC co-speaker and archeobotanist Prof. Wiebke Kirleis explained how 6000 year old cereal grains and wild apples are beeing discoverd at excavations in Schleswig-Holstein and how they are connected to findings in the Near East, Iraq, and southeast Turkey. At the Kids‘ University eight to twelve year old students have the opportunity to get a first whiff of academia. 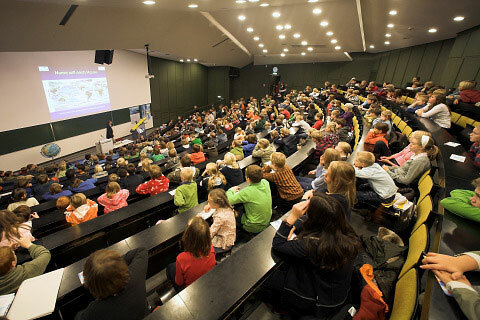 In one-hour lectures, Kiel University scientists offer an insight to every day research of various disciplines. The lecture by Wiebke Kirleis was the last one for this semester. The series will be continued in spring. The new CRC book Series "Scales of Transformation in Prehistoric and Archaic Societies"(STPAS)is now online at the homepage of the publishing house Sidestone Press. It is dedicated to the fundamental research questions of the CRC1266 dealing with transformations on different temporal, spatial and social scales, in the period between 15,000 before till the beginning of the common era. All volumes will be provided online with open access but can also be purchased as printed versions. 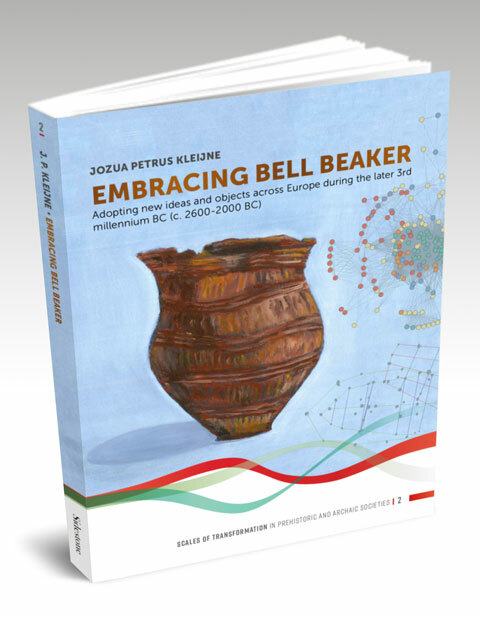 By now, pre-order is open for the first two volumes, “Embracing Bell Beaker“ by Jos Kleijne and „Das Jungneolithikum in Schleswig-Holstein“ by Sebastian Schultrich. 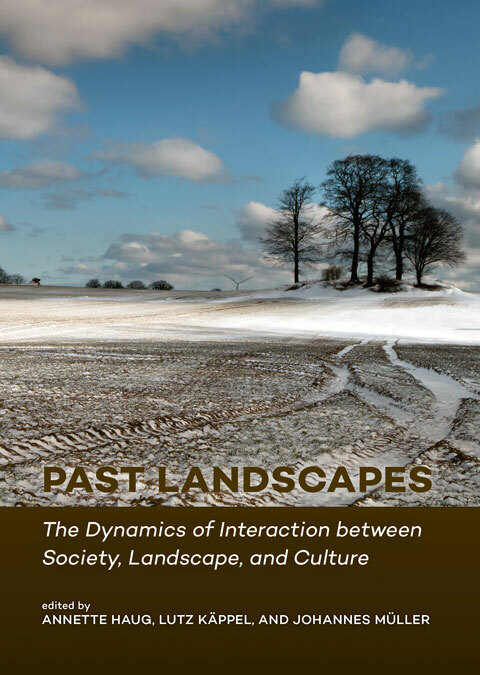 Landscapes are understood as products of human-environmental interaction. At the same time, they are arenas, in which societal and cultural activities as well as receptions of environments and human developments take place. Thus, environmental processes are interwoven into human constraints and advances. This book presents theories, concepts, approaches and case studies dealing with human development in landscapes. On the one hand, it becomes evident that only an interdisciplinary approach can cover the manifold aspects of the topic. On the other hand, this also implies that the very different approaches cannot be reduced to a simplistic uniform definition of landscape. This shortcoming proves nevertheless to be an important strength. The umbrella term ‘landscape’ proves to be highly stimulating for a large variety of different approaches. The GSDHL makes the major pioneering institution of this interdisciplinary research focus at Kiel University, from which the CRC 1266, the Johanna Mestorf Academy and the excellence cluster ‘ROOTS - connectivity of society, environment and culture in past worlds’ emerged. Hence, several members of the CRC 1266 and ROOTS contributed to different papers of this volume. 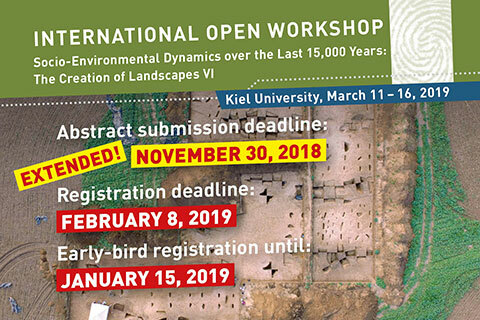 Next year, for the sixth time, the International Open Workshop: “Socio-Environmental Dynamics Over the Last 15,000 Years: The Creation of Landscapes“ takes place from 11 to 16 March at Kiel University. For the first time it will be organised jointly by the Graduate School “Human Development in Landscapes“ and the CRC 1266. The call for papers is now open. 18 Sessions cover a wide variety of topics: From lateglacial societies to communities of pre-modern cites, human adaptation and coping strategies, burial rites, residential behaviour, formation of complex networks and past health, and different theoretical and methodological approaches just to name a few. The paper submission deadline is 30 November 2018! 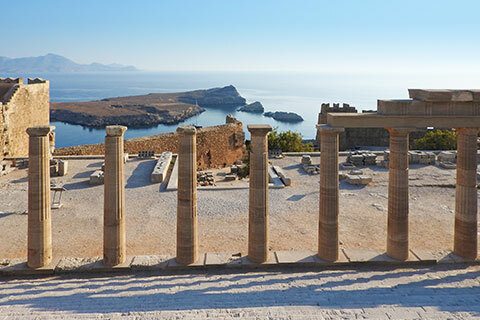 The conference organised by Annette Haug and Asja Müller, both from subproject E 3, focuses on the interference between Hellenistic Architectural complexes and human actors. 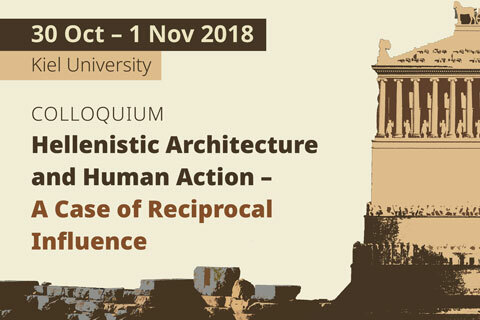 From 30 Ocotober to 2 November a group of international scientists will in five sessions discuss the various aspects of human-architectural interaction. Participation is free without prior registration. “Did you again only find some old broken stuff?” The Blog now available as a book! Last summer, painter Jonas Fischer published his diary of the CRC project D1 field campaign in Moldova in the CRC Blog Archaeo-Lounge. 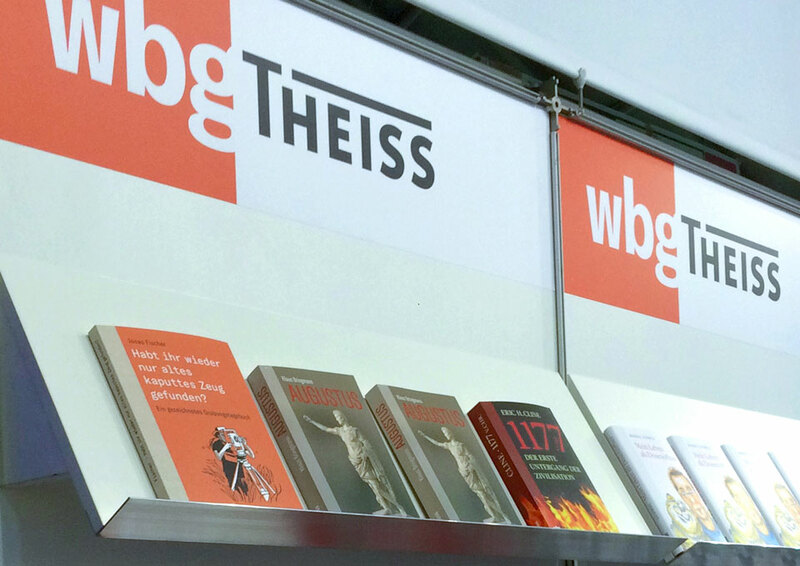 Now it comes in as a book: „Did you again only find some old broken stuff?“ is the title of the comic published at wbg Theis (Wissenschaftliche Buchgesellschaft) which was presented at this year’s Frankfurter Buchmesse. 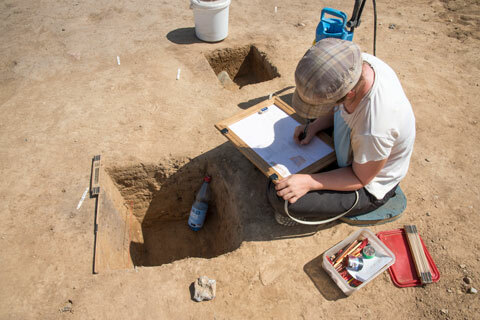 Last year, Jonas Fischer who is a student at the Muthesius University of Fine Arts and Design joined the CRC excavation at the Chalcolithic mega-site Stolniceni which is part of the Cucuteni–Trypillia culture. He put down his adventures and impressions in paintings and short texts thus creating a documentation of the excavation’s everyday life from the view of a non archaeologist which at the same time tells a lot about Moldova and its culture. 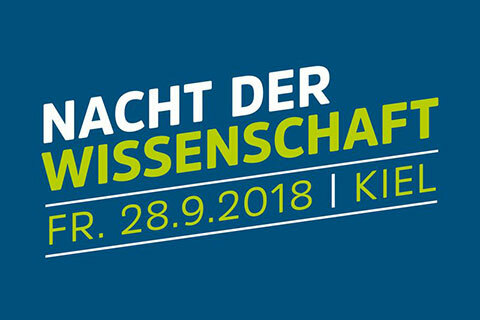 On 28 September for the third year in a row the Researchers’ Night takes place in the state capital Kiel. Till midnight, the public will be treated to interactive experiments, laboratory tours, workshops, exhibitions, art activities and lectures about current research throughout Europe. For the first time this year, the CRC will contribute to the programme with workhops on archaeological drawing and pottery making, four lectures and info tables. Coinciding with the European Year of Cultural Heritage 2018, the State Office for the Preservation of Historical Monuments, the State Library and the Kunsthalle Kiel (the Kiel art museum) will, among others, also take part in the Researchers’ Night for the first time. Another novelty is the science program for school classes in the morning. Minister-President Daniel Günther has agreed to be the patron of the Researchers’ Night KielRegion. Since mid-July archaeologist Jutta Kneisel from subproject D3 together with a group of students is exploring a neolithic grave mount situated at the edge of Bornhöved. 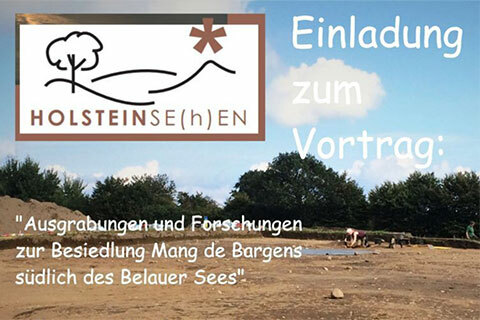 On Sunday, 16 September from 10.00 a.m. to 4.00 p.m. interested persons are welcome to visit the site and gain insights into the archaeological approach. There will be guided tours and hands-on activities for children. The site is accessible from Kornkamp in Bornhöved. 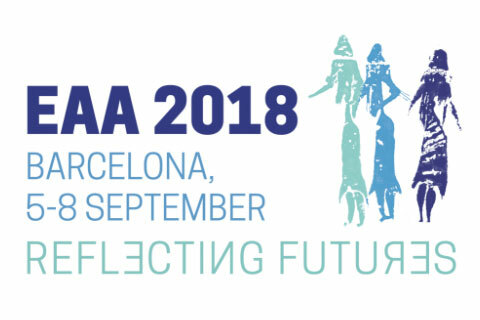 At this year’s EAA meeting in Barcelona, a new community for Palaeolithic and Mesolithic Archaeology (PaM) was approved by the EAA Executive Board and had its constitutive meeting on Wednesday 5th September. The initiative to establish this PaM community came from CRC sub-project B1 member, Sonja B. Grimm, and Natasha Reynolds, University of Bordeaux. They were supported by several CRC members from the B projects (Daniel Groß, Harald Lübke, Sascha Krüger, Berit Valentin Eriksen) who were among the first to sign up as members of the community. In the constitutive meeting, the two initiators were elected as interim chair (Natasha Reynolds) and co-chair (Sonja B. Grimm) until the community can formally elect chair/co-chair next year via an online election system. In the future, this community aims to foster cross-European networks and collaborations to reflect the plurality and diversity of activity related to Palaeolithic and Mesolithic archaeology, to bring this community together in discussion forums and sessions, and to further integrate Palaeolithic and Mesolithic archaeology into the EAA in particular and the European archaeological community in general. Therefore, an email list will be established and a newsletter will be disseminated across this list at least four times a year.If you are interested in the EAA community for Palaeolithic and Mesolithic Archaeology (PaM), please feel free to contact them for further information via eaa.palaeomeso@gmail.com or on Twitter @EAAPaM. Like last year in Maastricht, the CRC will be present at the EAA, this time in Barcelona from 5 to 8 September. Numerous CRC scientists will participate in alltogether 13 sessions (verlinken mit https://www.sfb1266.uni-kiel.de/en/events/sessions-workshops?set_language=en) and present current research issues. In the patio close to the coffee area you will find the CRC booth with public outreach activities, and a presentation of the scientific concept as well as publications. Last year the booth turned out to be good place to meet each other and get into conversation with other participants, so don’t miss to stop by! In an interactive programme the Summer School “Modelling Interaction Landscape Archaeology” aims at discussing matters of methods-in-practice and to creating a package for the open-source software environment for statistical computing and graphics R. As researchers in the CRC 1266 subprojects (A2 und F1) and the “ISAAKiel”, a working group that focuses on the application and development of methods in computational archaeology at Kiel University, the organisers Daniel Knitter, Oliver Nakoinz and Martin Hinz are highly involved with the thematic issues. In this summer school, the colleagues expand the scope by inviting three external specialists in addition to the regular participants: Dr. Ray Rivers, Imperial College London), Clara Filet (Sorbonne University Paris), and Dr. Francesco Carrer (Newcastle University). The communication of current research questions and research results to the non-scientific public was the focus of the subproject "Late Mesolithic and Neolithic Transformations in the North Central European Plain" of the SFB 1266 TransformationDimensions on July 15, 2018. The occasion was the 750th anniversary celebration of the community Brodersby-Schönhagen between Eckernförde and Kappeln at the Schlei, district Rendsburg-Eckernförde (SH), on the Baltic Sea coast. The sub-project C1 and the priority programme 1266 were presented there in the form of an information stand for locals and tourists with several participation offers, which were particularly aimed at children and young people. In addition to the networked scientific organisation of the SFB 1266, the excavations that took place within the subproject in late summer 2017 in the immediate vicinity of the festival area on the beach were presented. 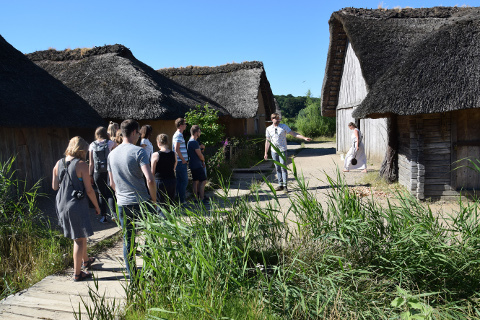 A Neolithic settlement dating from 2800 to 2600 BC, the so-called „Store-Valby –Phase“, of the North German and South Scandinavian Middle Neolithic, which was located on a former island or peninsula, was investigated there with students of CAU Kiel. Although only small areas of the settlement were excavated, such as areas of the prehistoric shore area, which was used for waste disposal at that time, the site has an important function for our understanding of the cultural-historical development in the third millennium BC in the North German lowlands. A phase of the Neolithic in which cultural-historical transformations had a drastic impact on communities in the North German and South Scandinavian Neolithic. These include, for example, sustainably changing forms of social organisation which, unlike previous collective rituals, are differentiated by emphasising the individual, e.g. through weapons. The ongoing evaluations of the excavation aim to shed more light on this little-examined phase and in particular to identify the triggering factors that led to substantial and lasting reorganisation of socio-economic patterns of interaction between man and the environment. Photo: Jan-Eric Schlicht, Jan Piet Brozio, Dörthe Gayk and Moiken Hinrichs (from left) in front of the information stand on the occasion of the 750th anniversary celebration of the Brodersby community. 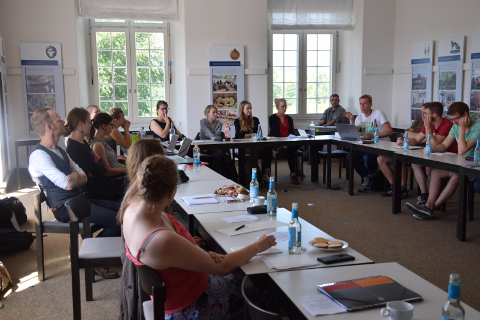 Im Rahmen des IRTG Moduls 2 „PhDs on Track“ fand am 28. Und 29. Juni der zweite Workshop der Promovierenden des SFB in den Räumen der Landesmuseen Schloss Gottorf statt. Zwei Tage lang standen die Doktorandinnen und Doktoranden im Fokus: aktuelle Ergebnisse, wissenschaftliche Beiträge und der Stand der Dissertationen wurden diskutiert. Es gab ausreichend Zeit, gemeinsam mit den erfahrenen Wissenschaftlern des SFB die Hürden und Herausforderungen der ersten 1,5 Jahre zu reflektieren. Außerdem bot der Programmpunkt „PhD Life: Do’s and Don’ts“ die Möglichkeit, sich Tipps von frisch promovierten Kollegen zu holen. "Es war sehr hilfreich sich auszutauschen und zu sehen, dass viele von uns mit ähnlichen Themen beschäftigt sind, wie beispielsweise Schreibblockaden, der Tendenz zum Perfektionismus oder der Einsicht, dass der anfängliche Plan für die Dissertation angepasst werden muss. Die Projektpräsentationen zeigten, wie groß die Fortschritte innerhalb eines Jahres sind und wie sehr wir als Wissenschaftler gewachsen sind. Das motiviert! Außerdem konnten wir durch die ehrliche Diskussion mit den PIs unterschiedliche Perspektiven kennenlernen und darüber sprechen, wie sich der SFB entwicklen kann, um seine Mitglieder noch besser zu supporten" so das Fazit der beiden Promovierendenvertreterinnen, Sonja und Clara. 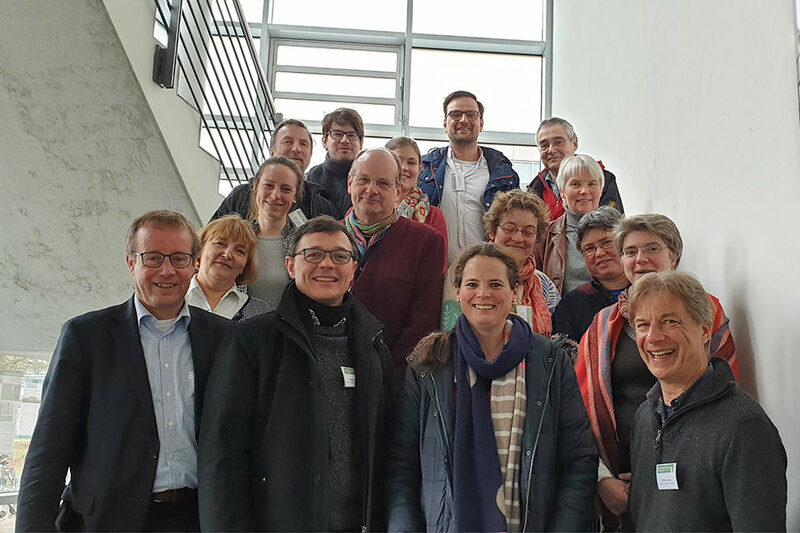 From 26 to 27 April the second CRC Retreat took place in Brodten. The more than 60 CRC members met in the rural atmosphere of the Theodor-Schwartz-House in order to prepare a joint publication. 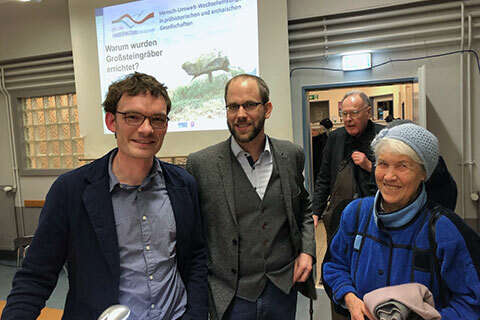 At this year’s 27th annual meeting of the workgroup Mesolithic in Weimar, the cluster B of the CRC 1266 was again strongly represented. Two of the 16 presentations in total were held by Sonja Grimm (B1) and Daniel Groß (B2) who talked about their on-going CRC projects. Another presentation was held by Harald Lübke (B2) about a ZBSA project that is closely interlinked with the B2 project. After a marathon day of presentations on Saturday (24th Feb 2018), an excursion to Late and Final Palaeolithic as well as Mesolithic sites in southern Thuringia followed on Sunday (25th Feb 2018). Despite bright sunshine, the temperatures were painfully low and gave us a somewhat appropriate ice age impression. Participating CRC 1266 members: Sonja Grimm and Tobias Burau (B1), Harald Lübke and Daniel Groß (B2). 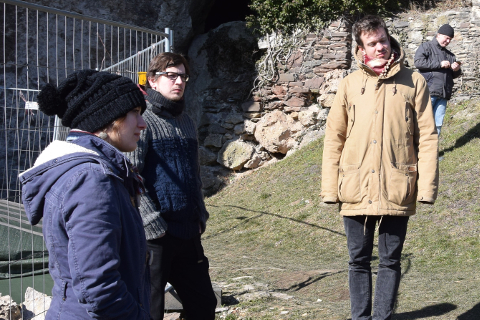 Photo: Harald Lübke, Tobias Burau and Daniel Groß (from right) in front of the Ilsen cave (Ilsenhöhle) and the excavation on the terrace underneath Ranis Castle (photo & text: Sonja Grimm).